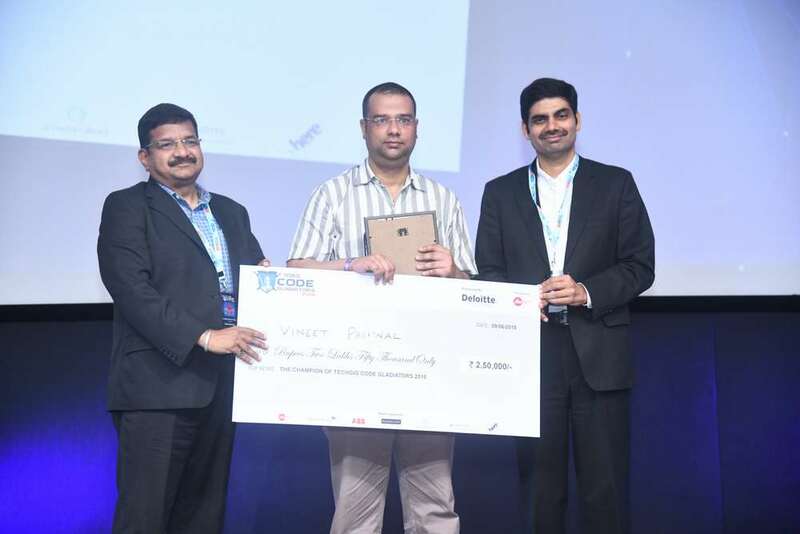 The grand finale of the 110-days long coding marathon – TechGig Code Gladiators 2018 – concluded with a glitzy ceremony held at JioTalks Auditorium, Reliance Corporate Park, Navi Mumbai. Mumbai: The grand finale of world’s biggest coding event – TechGig Code Gladiators 2018 – concluded on June 9 with the crowning of India’s top coders. Ever since February 2018, when this year’s edition of TechGig Code Gladiators was announced, the Indian tech community enthusiastically participated in this mega coding marathon.